About QUEST AEROSPACE, a division of RCS RMC, Inc.
We think our history is important because our roots go all the way back to the birth of model rocketry in 1957. Our founder, Bill Stine, is the son of G. Harry Stine who is known worldwide as the ‘Father of Model Rocketry’ after he founded the very first model rocket company, Model Missiles, right after the launch of Sputnik in 1957 (that’s right we’ve been around since before the other guys in Penrose…) G. Harry was also the founder of the National Association of Rocketry. So Quest founder Bill Stine has been active in model rocketry all his life (he is NAR#24). Bill even authored the seventh edition of the Handbook of Model Rocketry. Since 1991, we’ve been a family owned and operated business and are now located in beautiful Cedar City, Utah. Everyone that works here has built and flown most of our products, so if you call with a question, you can be assured you’re going to talk with someone who knows the product. In July of 2013, Quest merged with RCS Rocket Motor Components and relocated from Pagosa Springs, Colorado to Cedar City, Utah. RCS is the parent company for the famous AEROTECH brand of rocketry products and was founded by composite motor technology pioneer Gary Rosenfield. Merging Quest with RCS has created a new larger vertical rocket company that offers products from Quest Micro Rocs to the technically advanced small sounding rockets Aerotech makes. And it is run by two rocketry visionaries; Gary Rosenfield and Bill Stine. There’s no limit to how far you can take your rocketry adventure! With Quest, you spend less for a better quality product. We’ve developed the highest quality products possible and priced them fairly. Quest products are loaded with extras that will make your building and flying experience a better one! 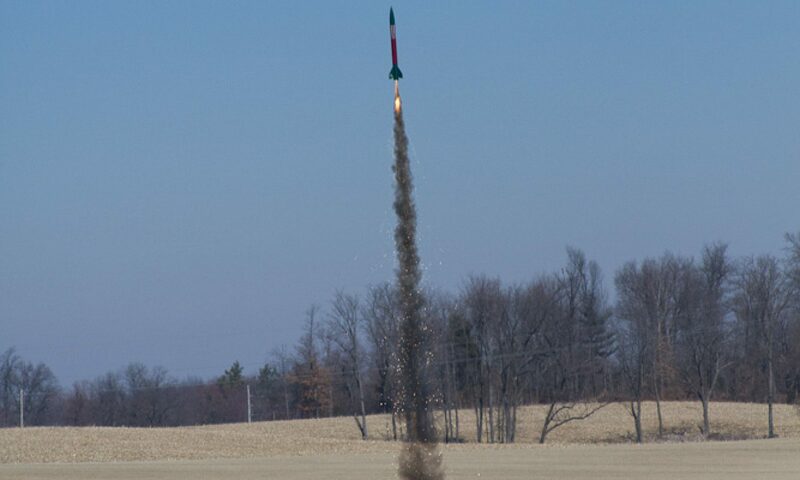 If you’re new to model rocketry, you can do this, and we can help!